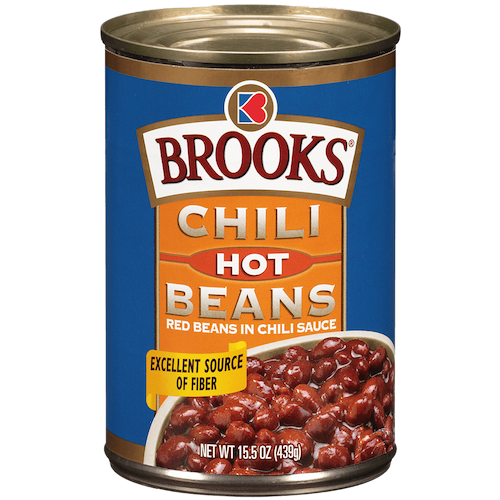 Brooks Beans – Chili Begins with Brooks! Welcome to chili heaven! At Brooks, we’re devoted to everything chili. After all, we've been making great-tasting chili products for 100 years. 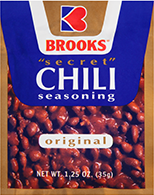 From beans to seasonings to recipes, if it's chili, you'll find it here at Brooks. There’s no doubt about it. 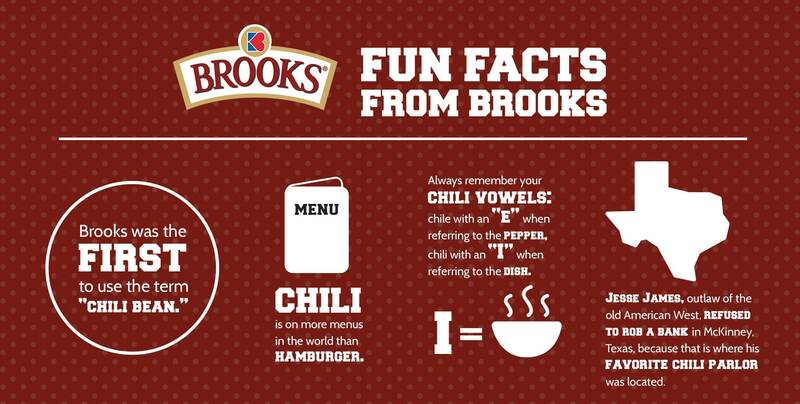 The best-tasting chili dishes start with Brooks. 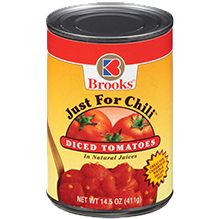 Explore Brooks’ famous chili products-including our prize-winning Chili Beans, our super Just For Chili Diced Tomatoes, and more! And we even have beans for other dishes. 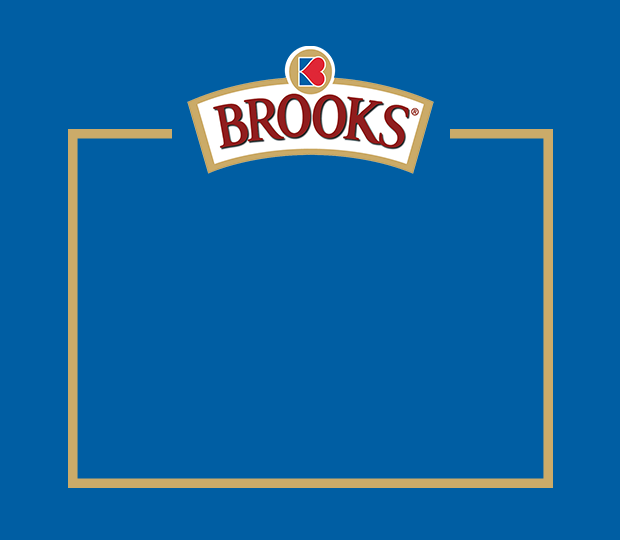 To get the lowdown, scroll through the Brooks varieties below. the heat up or keep it down. 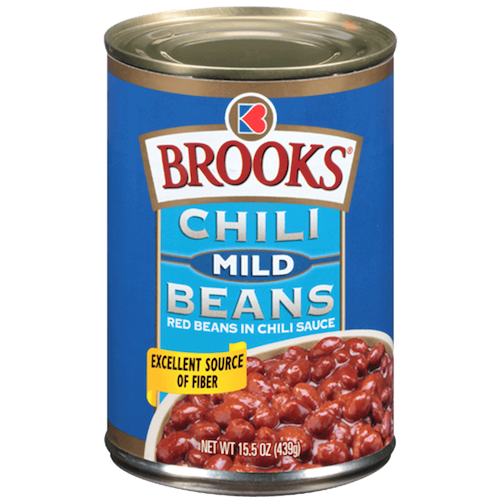 Low on heat, Brooks Mild Chili Beans have a mellow, savory flavor that gives you all the great taste you want in a chili, without the fire. 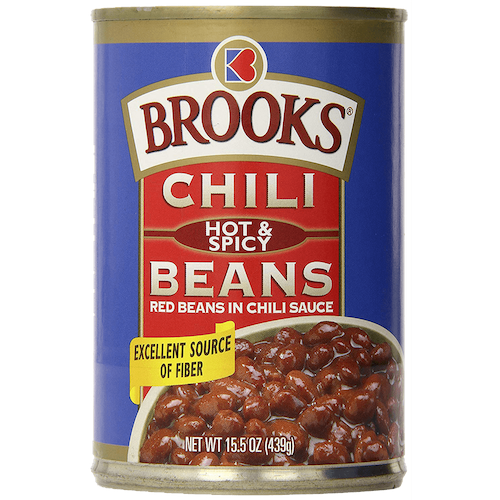 For chili lovers who aren’t afraid to feel the burn, Brooks Hot Chili Beans pack plenty of tongue-tingling, sinus-clearing, mouthwatering heat. 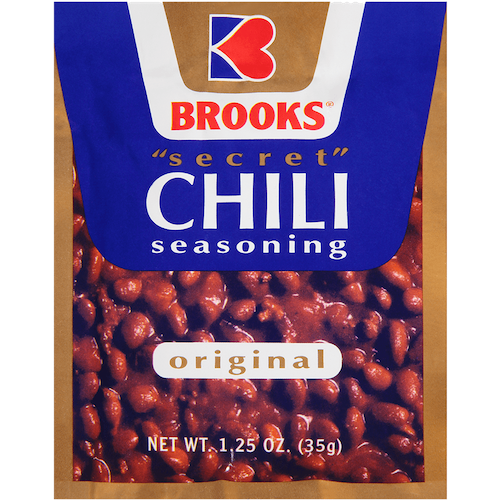 A variety of hot and savory seasonings are combined to create the rich, complex, tantalizing chili flavor of Brooks Hot & Spicy Chili Beans. We do the work. You get the compliments. Our chili mixes, seasonings, and condiments are made for making chili easy. 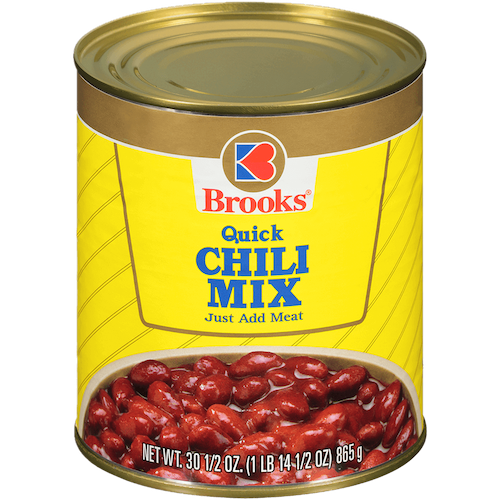 Brooks Chili Mix is our signature recipe of spices, seasonings, tomatoes, and beans, ready for you to make a great chili meal in minutes. Just add beef, chicken, turkey, pork or veal for additional flavor. 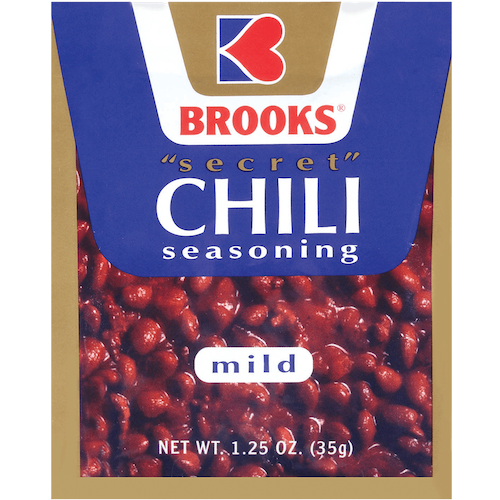 Our original Brooks Chili Seasoning is a proprietary blend of chili peppers, spices, and other ingredients in a perfectly proportioned amount for you to make the perfect chili every time. 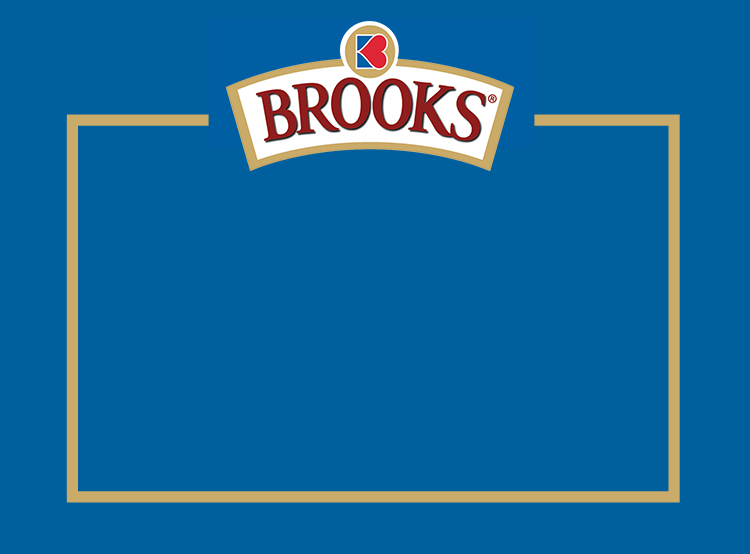 Brooks Mild Chili Seasoning is a not-so-spicy version of our unique blend of chili peppers, spices and other ingredients in a perfectly proportioned amount to make your chili just the way you like it. 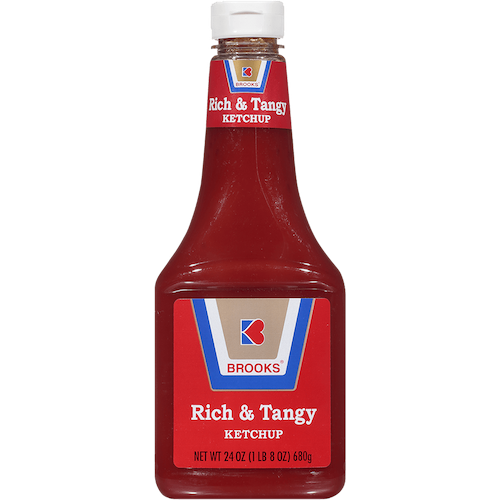 Brooks Rich & Tangy Ketchup is a tangy flavored condiment with a thick, rich consistency made from a tomato base blended with selected spicing. Great for all of your chili recipes. Want to add extra zip to your chili recipe? 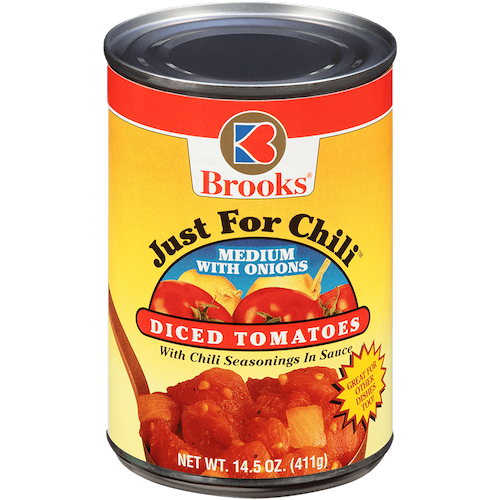 At Brooks, we take diced ripe tomatoes and infuse them with seasonings, then pack them in a rich sauce. So, instead of plain tomatoes, you get seasoned tomatoes that make your chili or any other recipe even better. Choose Plain, Mild or Medium with Onions. 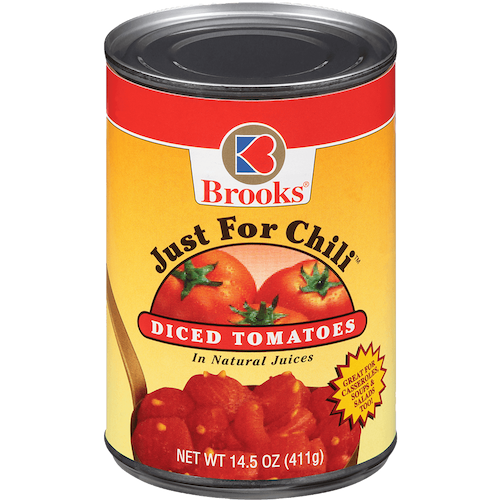 Brooks Plain Diced Tomatoes are ripe tomatoes in natural juices that make the perfect base for chili recipes of all kinds. 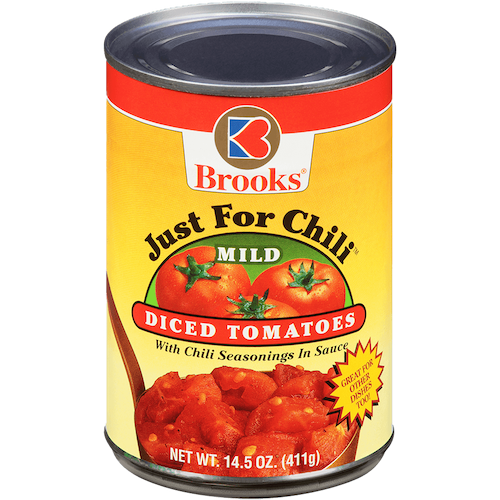 Brooks Mild Diced Tomatoes are infused with spices and packed in a rich, chili-seasoned sauce. Tender onions are the key ingredient in Brooks Medium Diced Tomatoes with Onions, which are packed in a rich, medium-spicy, chili-seasoned sauce. 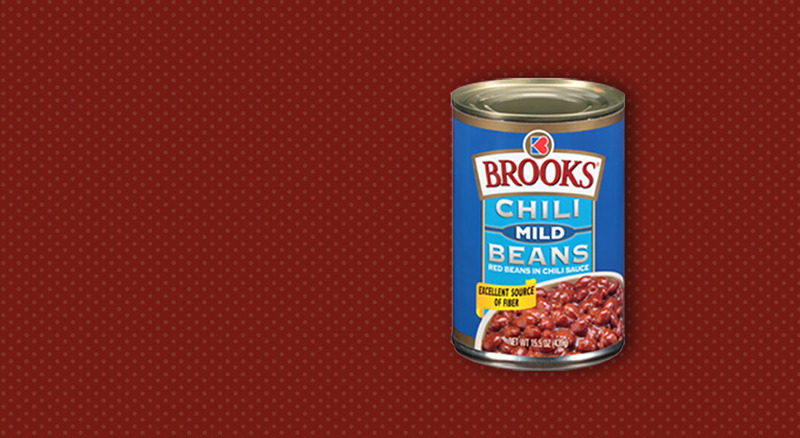 It's been nearly 100 years since Brooks first got started in the chili bean business. And, what a great century it's been. We began selling our famous beans in 1907. 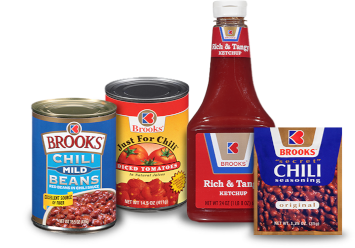 Today, Brooks has a whole family of products all centered around chili—including our famous Chili Beans, Chili Mix, Chili Seasoning, and Just For Chili Diced Tomatoes. Legend has it, in 1942 the Kalamazoo School Bake-Off changed forever. 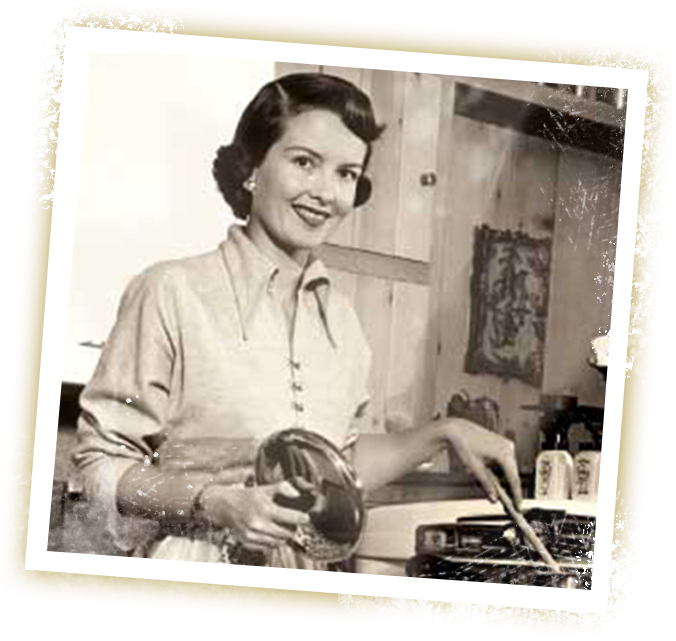 That year, Mary Jane Hansen broke the rules by bringing a crock of her famous Brooks® Chili and won first place. Hence, the birth of a favorite Midwest tradition, the Chili Cook-Off. All because of Mary Jane. 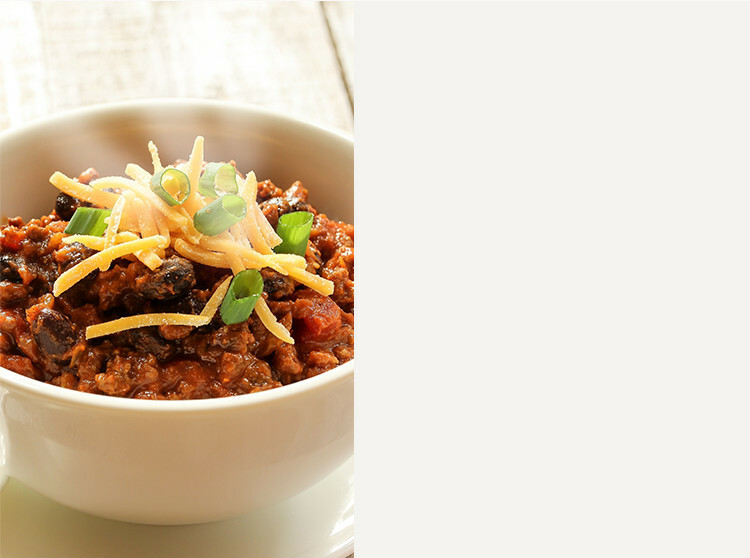 Find Mary Jane's Family WINNING Chili and other classic Brooks recipes here. For every legendary chili recipe, there’s more than one way to serve it. Take your chili to the next level with these tips for enjoying your favorite recipe. But, however you choose to fix it, always remember your chili vowels: chile with an “e” when referring to the pepper, chili with an “i” when referring to the dish. Need a new party theme? 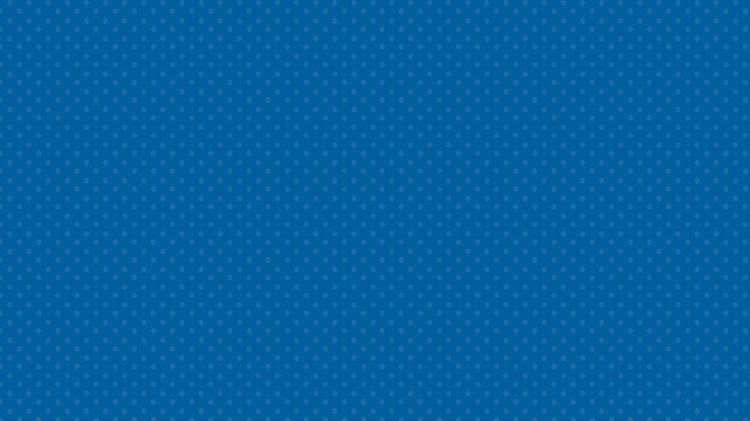 Throw a chili party! Make a batch of chili and serve it buffet style with all the fixings alongside. Decorate your table with chili pepper napkins and paper plates, and hang chili pepper lights in the dining room. Use chili (and rice if you like) as a stuffing for tacos, enchiladas, crepes, and roasted peppers. Experiment with different ingredients. For example, if you usually use beef, try turkey, chicken, pork, veal—or a combination. Make meatless chili or beanless chili for a change. Serve chili for breakfast! Mild chili topped with melted Cheddar or American cheese is a delicious accompaniment to your morning eggs, grits, or corn muffin. Make extra batches of chili to freeze—and you'll always have an easy meal on hand. Making pasta? Instead of traditional sauce, use chili. For fun, and variety, experiment with different hot sauces. There are literally hundreds—ranging from very mild to super hot and everything in-between. Chase a cold! A bowl of hot, spicy chili can help clear a stuffy nose. Different rice can be extra nice. Instead of plain white rice with your chili, try flavored rice (like Spanish, yellow, or rice cooked in chicken or beef broth). Or experiment with other rice varieties such as Basmati (long-grained), Arborio (short-grained), or sticky rice.